Scott Disick is "very, very sad" over the death of his father, Jeffrey, less than three months after his mother passed away. 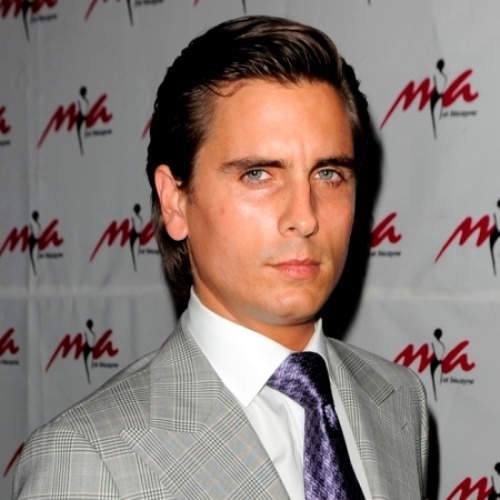 Scott Disick is "very, very sad" over his father's death. The reality TV star is distraught over the sudden loss of his father, Jeffrey, on January 3, less than three months after his mother passed away from cirrhosis of the liver. "[Scott is] very, very sad,” a source close to him told E! News. “The whole family is trying to comfort him. Everyone's upset. To lose both parents so close together, it doesn't seem fair." Scott and his long-term girlfriend, Kourtney Kardashian – with whom he has Mason (3) and Penelope (17 months) – were seen at Los Angeles International Airport catching a flight to New York, where Scott's family is based. It is understood the funeral will take place soon. Fortunately Jeffrey had been spending a lot of time with Scott and his children before he died, as he had been making frequent visits to see them after the passing of his wife, Bonnie. "Scott's dad had been in Los Angeles spending time with Scott, Kourtney and the kids,” the insider says. “He wanted to be close to them after the loss of Scott's mother." The cause of Jeffrey's death has yet to be released.